Midnight Notes analyse the nuclear power industry and the 1970s anti-nuclear movement. At a certain point in their development, capital and the State manage to rationalise exploitation. This is happening at the present time to a certain extent: pure repression is giving way to 'being involved'. These new forms of repression must be understood if we do not want to remain tied to out-of-date forms of revolutionary activity. The new forms of involvement, though not entirely new, are now being developed in more orginal and highly dangerous ways. The permissive State, although it still uses dissuasion (in the form of police and army), is tending towards dialogue, allowing a certain amount of freedom of movement and self-regulation so that everyone becomes controllable at all levels. In this way the counter-revolutionary role of so-called dissent is fundamental to maintaining order and continuing exploitation. Both the bosses and their servants are depending more and more on these forms of recuperation in preference to pure repression by armed forces - although the latter continue to remain the ultimate element in convincing and repressing. So the State is asking the revolutionary movement to collaborate in maintaining social peace. Comrades shouldn't jump back in horror at such a statement. The State can ask what it wants of us. It is up to us to understand whether we are being drawn into manoeuvred consensus, or whether our dissent still has an element of rupture. The State's projects are continually being updated. One minute they are putting up a wall of repression, the next they are softer, decodifying behaviour that was once condemned and persecuted. The State and capital have no moral code of conduct. They adapt according to the Machiavellian thesis of using the brute force of the lion one day and the cunning of the fox the next. Today might well be the moment for the fox's velvety paw. This no must be shouted aloud, not be a simple whisper of platonic dissent. It mustn't pass into action, but remain simply a 'minority' demonstration of disagreement. It is then up to the governing forces to explain the practical impossibility of such a choice, which is nevertheless based on the 'highest moral values'. As good a way as any of making a fool of people, extinguishing their potential aggressivity, directing this impetus of rebellion towards activities that are dissent merely in appearance, and in fact are counter-revolutionary in every aspect. This is what is being asked of the peace movement, and that is what they are supplying. As an ideology pacifism lends itself to being exploited for the production of social peace. An indigestible mixture of Christian sacrifice and millenarian fideism, it is much appreciated by the State as a means of involvement. Even the peace demonstrations that comrades are so impressed by are an element that is much appreciated in the spectacular framework of exploitation. The fact that these demonstrations are innocuous has nothing to do with whether or not they clash with the police. They are recuperated on all sides because of their being sporadic and passive as far as the State is concerned, and because of their basic lack of ideology as far as the peace movement is concerned. These new priests, clutching at the altar of their own sacrifice, are incomprehensible to people who would like to participate in struggles, but not for that are prepared to abdicate their patrimony of violent attack against the State. This is what the State puts its trust in, their incomprehensibility,allowing the peace movement demonstrations that are forbidden to others, but intervening as soon as any signs appear of an outside presence within the pacifist organisations. The same can be said for trade union struggles, even autonomous ones, 'self-managed' ones, or those carried out under the leadership of the few anarcho-syndicalist organisations. The State is also asking them for the maintenance of social peace. Their ineffectiveness is the guarantee of their possibility of continuing. Revolutionary ineffectiveness immediately transformable into complying with the State's counter-revolutionary requests. Their function today is that of lending credibility to the process of restructuring that is taking place, at least in the most sensitive areas, extinguishing dangerous attempts at isolated actions of attack totally in disaccord with any kind of trade union representation. We should also be more aware of the counter-revolutionary role of the new commune movement, the vegetarian and ecology movements, the anti-psychiatry movements and all the tendencies that are trying to split up the real contrast with power, or are trying to reduce it to simple, formal dissent. We can consider all forms of strictly formal dissent and all attempts to divide the class conflict into a multitude of sectors, as being functional to power. This is exactly what the couple capital State want to happen. Many comrades in good faith fall prey to this contradiction. The best of them, those really in good faith, are only misinformed, or simply stupid due to lack of analytical clarity. They are the ones who limit themselves to great declarations of principle against nuclear weapons, or are abstentionists every time the elections come around, or hand out leaflets against special prisons, then return to their holes to wait for the next time to repeat the sacrosanct ritual of the eternally obvious. The worst, those in bad faith, are the sceptics who have lost their enthusiasm of the past and now understand everything about life; and the ambitious ones trying to get a little allotment of power on which to seminate their swindles. On the one hand the super-intelligent looking down on those limiting themselves to carrying on with the struggle; on the other, those advancing their careers by kissing the hands of the labour party or the arses of the dissenting church. The nausea that overcomes us on seeing the first is equal only to that which we feel on seeing the second at work. There are many ways of gazing at one's navel or furthering one's career, but these are among the worst. We must oppose the advancing counter-revolution with all our strength. First of all with analytical clarity. It is time to put an end to shyness. It is time to come out and say things clearly and without half measures. Beautiful declarations of principle are no longer enough, in fact they have become goods for trading with power. We must engage seriously in a struggle to the end, an organised and efficient struggle which has a revolutionary project and is capable of singling out its objectives and means. The following piece of work, on the anti-nuclear movement in the US and Europe, although written in 1979, is still a valid contribution to this search for clarity as a basis for struggle. Since the time it was written the anti-nuclear/peace movement has grown and multiplied mainly due to the mining of Europe with nuclear missiles. This growth has been of massive quantity, but the logic and quality remain the same as when the following was written. All the more reason then for a critical re-reading today. After the Three Mile Island accident in Pennsylvania, we all know that we pay not only for our electricity, but also for financing the destruction of our health. Nuclear reactors are not only expensive and ineffective, they are a permanent danger. In 1978 alone, atomic plants had 2,835 'incidents' and they ran at only 67.2% of their capacity. (New York Times, April 15, 1979). Radioactivity causes cancer, leukemia and genetic damages. It doesn't respect county or State borders; radioactive iodine contaminates our milk and we have no means to control it. Radioactive clouds travel with the wind, and the pollution of our water and food distributes it everywhere. Electricity is only a part of our energy expenditures. We pay also for gas, heating and gasoline. In the last few months the prices for fuel started rising again, after they had risen more than 100% between 1973 and 1975. With Carter's deregulation of petroleum prices, they will go up continuously in the coming years and probably will reach European levels of 2.50 dollars per gallon of gasoline very soon. The Government and the energy companies tell us that 'we' are in a squeeze since the 'energy shortage' forces 'us' to build nuclear plants and raise rates and prices. They tell us that the Arabs have us by a string and 'we' must 'protect' ourselves. Most people have not bought this story. Polls show that 70% of the people do not believe there is an energy shortage - simply because it is obviously false. 78% believe the companies 'just want to make more money'. (New York Times, April 10, 1979). All other fuel prices are going up as well: natural gas, coal, uranium and oil. This has nothing to do with the Arabs (all our coal and most of our uranium is mined domestically) nor with shortages (US coal reserves could last for hundreds of years and there is more crude oil available than ever before). The energy prices go up because the companies have the power to raise them. They control oil wells, coal-mines and power plants, and they can blackmail us at will because we depend entirely on their supply. We have only the choice between paying or freezing to death. Higher energy prices are a continuous attack on our wages and force us therefore to work more and to work for the plans of the companies, who are not interested in supplying the people with energy, but are interested in making money and strengthening their control over us. In the case of the anti-nuclear movement, there is a risk that it could be used against poor urban people. As long as the anti-nuclear movement does not clearly attack the price-policies of the energy companies and does not link the 'health' and 'money' issues, it cannot be understood by people who are struggling for daily survival In such a situation capital can play the anti-nuclear movement against the poor or vice versa. For example, the energy companies and the State (the government) can blame the anti-nuclear movement for the higher electric bills; or they can try to impose solar energy and higher energy prices. Who Is Involved in the Anti-Nuclear Movement? Strangely, the anti-nuclear movement did not originate in highly populated, industrialised and polluted areas where, it could be assumed, a struggle against environmental dangers would seem to be urgent. The anti-nuclear movement is not an immediate response to the attack or' the quality of life which takes place in the 'industrial triangles' of the US and Europe. In West Germany, where the anti-nuclear movement first started, it emerged not in the traditionally polluted Ruhr area, but in South-west Germany in a rural zone of vineyards and small farmers (Wyhl, 1974). The same was true for France (Malville, near Lyons, is situated in an essentially rural area), Switzerland (Kaiseraugst, Goesgen, etc) and Italy (e.g. the nuclear plant of montalto di Castro in the Maremme). A similar type of area is found near Seabrook nuclear plant in New England, which is one of the few regions of the US where an older type of small or middle-sized farming and fishing exists (in the rest of the US we should rather speak of agricultural industry). The two farms have provided scores of informal ideologists and leaders of the anti-nuclear movement in the New England area: Harvey Wasserman, Anna Gyorgy and others. They produced several films and also distributed a film on the Whyl anti-nuclear movement which had a strong influence on the movement against the nuclear plants in New England, particularly at Seabrook. (cf New Age, Special Report, 1978 and Ray Mungo, Famous Long Ago). The antinuclear protests of local residents presented such a possibility of intervention from the outside. A unifying factor from outside could intervene in a deadlock situation of conflicting interests of small storekeepers, farmers, workers connected with the nuclear plan, professional petty-bourgeois, etc. The anti-nuclear militants of the 'second movement' could keep together this strange class mixture and at the same time use it as 'hostage' against an isolation of their own struggle. So it was possible to forge that 'misalliance' between former urban radicals and rural conservatives. This alliance was, however, never without problems, and the division between locals' and anti-nuclear militants remained clear on the level of real actions, with the locals, for example,supporting occupations or demonstrations mainly passively. The development of this movement was facilitated by the fact that a large number of the New England "subsisters" had had experiences in the anti-war movement, i.e., in mobilisation techniques, media work, information finding, legal work, etc. Further, once the movement was started it developed its own dynamic reproductive functions for the militants as it provided social contacts and interesting events for old politicos who began getting bored in the relative isolation of the country life. Additionally, the movement became a source of income and created jobs for intellectual workers (writing and selling articles, books, buttons, T-shirts, making conferences, figuring out "alternative energy sources", etc.). In this regard, it was a direct answer to the problem of survival for at least a particular section of "humankind". Perhaps the class structure of the anti-nuclear movement becomes even more clear when we look at those Sectors of the working class who are not present in it: factory workers, blacks and urban minority people, atomic workers (with some important exceptions), construction workers and young urban clerical and Service workers. All these urban or industrial class-sectors are usually exposed to substantially higher levels of pollution and environmental stress and are, even when living in large cities, not safer in the case of radioactive fallout when a nuclear accident occurs, as the accident at Three Mile Island has demonstrated. But these sectors have a qualitatively different relationship to capital, more stable in the case of the factory workers (unions, family, mass organisation on the job) or without any assets in the case of the poor (their labour-power is not very valuable or is even worthless for capital because little money has been invested in their reproduction). Even more different are the types of re production, including all "cultural" differences, straight lifestyle, etc. The indifference of these sectors toward the anti-nuclear movement (or better: issue) is not based on a "lack of education and information" as anti-nuclear militants often bitterly complain. Even very uneducated class-sectors have always been able to grasp the essential knowledge about their problems, if the knowledge were in their interest and presented possibilities of struggle. There is of course no such thing as a "theoretical class interest": the uneducated Iranian masses have been able to beat the CIA-trained Shah regime which was backed by the most educated capital in the world, U.S. capital; scores of poor people have the skills to cheat welfare; workers can deal with their union bureaucrats; etc. Moreover, recent polls show that practically everybody distrusts the energy lies of the government and the companies. The problem is not education, but organisation and finding ways of effective and direct struggle. The formation and class composition of the European anti-nuclear movements follow in general the American pattern. The main difference consists in that in Europe the new intellectual, work-refusing working class has not been geographically concentrated in certain regions. European capital has not been able to organise the division of labour, especially between physical and intellectual work, along well-defined geographical lines. The movement started in Germany where the 'subsistence intellectuals' had reached relatively high levels of autonomy (the instalment of the social democratic government in the late 60's marked the impact of the movement and presented large material concessions to students, intellectuals, etc) which were then brutally attacked in the crisis (ideologically covered by Red Army Faction (RAF, 'Baader-Meinhof' ) -hunting hysteria. The process of alliance of the 'first anti-nuclear movement' with the 'second movement' was very similar to the one in New England. It represented a 'little political miracle', for the 'alternative' people were officially stigmatised as 'terrorists' and the populations of the nuclear sites were traditionally right-wing. The lack of geographical division in Europe favoured the class-specific expansion of the movement. Unlike the US, whole sectors of urban young or unemployed workers joined it, not particularly because of the anti-nuclear issue, but for its quality as a general social movement expressing insubordination, rebellion, the possibility of violent struggle, etc. As the whole plethora of the 'new' or 'radical' left quickly filled its ranks, huge demonstrations of dozens of thousands of people like those in Brokdorf, Kaiseraugst, Malville, Kalkar, etc, were possible. In Europe, everything is geographically and politically 'near', communications are easy and fast, there is a continuity of 'demonstration culture', while the existence of socially 'homogenised' political parties (particularly socialist and communist) immediately link all types of issues to the general political power game. This can be seen by the fact that the nuclear issue has been used by different political parties to overthrow the governments: In Sweden the conservatives used it against the ruling social democrats and won; in Prance the socialists use it against a 'liberal' government; in Switzerland the antinuclear issue was first used by the extreme right, then the extreme left, at last also by the social democrats. This further proves that the anti-nuclear issue by itself fails to provide a definition of the class-content of the movement. The most frequent anti-planning ideologies are based on the development of solar or other alternative energy sources. Solar energy has been promoted particularly around the job-issue. It is said that the nuclear industry destroys jobs and that solar developments would create lots of new jobs. This argument starts usually as Harvey Wasserman puts it in one of his articles (New Age, Special Report 1978): "The conflict lies in the basic difference between a capital-intensive economy and one based on human work." Such a statement is simply false: capitalist intensive economies are based on human work and require still more and more intensive human work. First, the machines, the equipment, etc of capital intensive industries have to be built ultimately by human work. Then, as a glimpse at statistics shows us, non-industrial and service jobs have been expanding rapidly in the last few years 'despite' nuclear development. While the rate of unemployment has been stable, overall employment has gone up rapidly. More human work than ever is being extracted from workers in the US. It is true: proportionately less people work in manufacture and automated industries in general, especially in the energy sector. But this doesn't mean that capital can or wants to do without human work. It is an optical illusion to see only the automated factory and not the sweatshop on the corner. The fact is, human work, and therefore surplus values (surplus human labour extracted by capital), is extracted in less capital-intensive branches and appears as the profit of highly capital-intensive sectors. Psychologically, nuclear reactors are symbols of permanent self-control and self-repression, re-presenting the psychological character of the fifties. The controlled expansion, the slow burn-out, corresponds to the process of exploitation of each since worker. Nuclear plants emit bad 'vibes' because they are like capital wants us to be. We are not allowed to explode socially - the reactor is not allowed to explode technically. Our control-rods are family-education, responsibility-ideologies (including 'alternative'), fear of death - for if we melt down, we are punished with the 'technical' death penalty. The nuclear plant is just another element of this blackmailing with death, together with traffic, machines, etc. Slime against concrete/refusal of responsibility and command against capital/life against work/wishes against need-these are elements of an ideology and practice which could destroy the planning!/antiplanning dead end. The problem of practical organisation in a semi-rural area was resolved in the case of the Clamshell Alliance by the system of affinity groups (a term alluding to the 'grupos de afinidad' of the International Brigade in the Spanish Civil War). Under the term 'affinity group', different types of social aggregation are included. On the one side, an affinity-group can be constituted by a traditional citizen-committee, ie, a more or less formal, loose type of social organisation based on occasional meetings and limited types of action (mainly legal and institutional). On the other extreme, an affinity group can coincide with reproductive organisations, eg, rural communes', where there is no distinction between 'life' and 'politics'. Typical affinity groups in New England are located between two 'extremes', ie, they are not necessarily living together but are based on additional common activities (like bicycling, running a mobile kitchen ill an old bus, acting, music playing), job-relationship (students) or pre-existing organisational ties (women, gays, American Friends, socialists, vegetarians). Affinity-groups are limited to 20 members who usually live in the same community or neighbourhood. Some of the names of affinity groups evoke this atmosphere of blending 'life' and 'politics': Chautauqua, Critical Mass, Medical Alliance, Nuclear Family, Frustrated Flower Children, Winds of Change, White Trash, Tomatoe Sauce, Hard Rain. The activities and social life of affinity-groups are not focused necessarily on the anti-nuclear issue. With this issue it was possible to put together and 'centralise' all these initiatives in the Clamshell Alliance, which then developed a dynamic of its own. Formally, the affinity-groups send their representatives to the Co-ordination Committee, which, with the help of various subcommittees, Organises the activities of the Alliance. Major decisions are made in Clamshell Congresses, meetings of all members of the affinity-groups. Not being based on economic relationships, the affinity-groups require a continuous effort, ideologically and socially, to keep them together It seems that those affinity-groups which were not able to develop a certain type of para-economic activities (mostly reproductive, like being in the same yoga-sessions) proved to be very unstable. This organisational problem was partly resolved by the establishment of nonviolence training sessions, which were publicly announced by posters and leaflets. An organisational force behind these sessions was the American Friends Service Committee (the 'Quakers'). A typical session consisted of an ideological introduction presented in these terms: "Non-violence is a constant awareness of one's humanity, dignity, and the self-respect of oneself and others. It implies a vision of a type of society you're looking for and therefore means there are certain things you do and do not do." (Wally Nekon as quoted in Valley Advocate, Sept. 1 1976). This type of 'artificial' organisation corresponds to the situation of an intellectual proletariat spread over a rural area where communications have to be willingly established and 'spontaneous' mass mobilisations are not possible. The apparent rigidity of this organisation is a means of self-protection and replaces lacking economic ties. Non-violence training sessions become virtually compulsory for affinity groups. At the same time, participation in occupations and other acts of civil disobedience outside of an affinity group became practically impossible, for 'everybody knows if nobody knows you'. The formally loose and unauthoritarian structure of the affinity groups and the organisation as a whole is compensated by procedures of ideological and social preselection based on the consensus process. Consensus has been presented as a 'non-violent way for people to relate to each other as a group' and practised for centuries by the Quakers. The process is formally democratic like minority/ majority systems, delegation systems, and decision by lot. But on the level of class reality, it excludes the less qualified labour force or people who are forced into full-time jobs or are exhausted by work. Consensus, therefore, favours people with psychological and sociological education since physical power is not allowed to enter group decision making. 1. Be clear about areas of agreement. 2. The problem/situation needing consideration is discussed. A clear idea of what decision needs to be made is formulated. A proposal can then be made. (Part of this discussion should bring out the present position or course of action of the group relating to the issue at hand). 3. People present who do not speak are assumed to have no strong feeling on the issue. 4. After adequate discussion, it is asked if there is opposition to the proposal as stated. S. If there are no objections the proposal can be formally stated and adopted. A consensus has been reached. 6. Opposition to a proposal will block its adoption. Opposition must be resolved for the proposal to be adopted. 7. If the objection cannot be satisfied, and no creative alternative solutions can be offered which meet no objections, then a proposal cannot be adopted as consensus. The group would then continue with the last consensus decision it had on the subject, or lacking such a previous decision the consensus would be to take no action on the proposal. 4. Withdrawing from the group. 1. Responsibility-Block consensus only for serious principled objections. Help others find ways to satisfy your objections. 2. Respect-Accept objections, trust those who make them to be acting responsibly. Help find ways to satisfy objections. avoid competitive right-wrong, win-lose thinking. When a stalemate occurs, look for creative alternatives, or for next-most acceptable proposals. Avoid arguing for your own way to prevail. Present your ideas clearly, then listen to others and try to advance the group synthesis. 4. Creative conflict-avoid conflict-reducing techniques like majority vote, averages, or coin-tossing. Try instead to resolve the conflict. Don't abandon an objection for 'harmony' if it is a real problem you are speaking to. Don't try to trade off objections or to reward people from standing aside. who decided to use democracy? who decided on the timing? who poses the questions? The real power in such situations is always based on criteria like: "Who has the money?Who has the information? Who has the education? Who has the technical instrument (paper, telephones, cars, printing machines, megaphones, guns)? Who has the social connections?" Awareness of these basic elements of power is much more effective in preventing the formation of a ruling clique than consensus-rituals. If there are leaders (which might be justified and effective) they must not be allowed to hide behind democratic smoke-screens, but must be forced to operate in their real function and submit to the control and criticism of the movement. It is better to have an open dialectics of leaders and masses than paralysing illusions. Not only are affinity-groups and the consensus system based on labour-intensive reproduction techniques, but so is the third tactic of the anti-nuclear movement: non-violent civil disobedience. With this tactic the movement declares and guarantees the rejection of physical interactions with disciplinary workers (policemen) who are usually less qualified than the anti-nuclear demonstrators. At the basis of non-violent civil disobedience is a deal with the police centred on the value of the militants themselves. On the one side, the cops will refrain from cracking the heads of the highly trained, actual or potential, professional intellectual workers because they might get into trouble, eg, the typical antinuclear militant would have easy access to lawyers or might be a lawyer himself and thus could sue the cop without too much trouble. On the other side, the militants take, almost naturally, the attitude of being the cops' bosses and assume they have no need to 'resort to violence'. For example, the advice given to demonstrators for dealing with the cops is first to look them in the eyes and ask "Hi,my name is ---, what's yours?" That is, the cops are to be treated as if they were domestic servants to be dealt with 'humanely'. This advice is clearly based on the presumption that the demonstrator is highly qualified; needless to say, if a ghetto resident took up this advice he would have some lumps to pay for such 'humanity'. 1. Everyone must be non-violent. 6. All participants in the Blockade are to undergo some form of non-violent preparation. 7. No damage or destruction of property. 8. Use discretion and safety in crossing police boat lines. b. change of watch in boats. c. tactical movement in response to movement or action by reactor shippers or enforcers. d. new arrivals to blockade. 1. Our attitude towards officials and others who may oppose us should be one of sympathetic understanding of their personal burdens and responsibilities without support of their official actions. 2. No matter what the circumstances or provocation, do not respond with violence to acts directed against us. 3. Don't call names or make hostile remarks. 4. When faced with an unexpected provocation try to make a reasoned, positive, creative and sympathetic response. 5. Try to speak to the best in all people, rather than seeking to exploit their weakness to what we may believe is our advantage. 6. Try to interpret as clearly as possible to anyone with whom we are in contact-and especially to those who may oppose us-the purpose and meaning of our actions. 7. If at any time you cannot maintain the discipline of non-violence, you should withdraw from the action. Harvey Wasserman, the most prominent supporter of the 'return to legalism', wrote in the June 22 1978 issue of WIN Magazine: "Nonetheless, it is time the movement recognised its growth and divisions. It seems almost inevitable that if the anti-nuclear movement is to proceed-which it must-then those who are dedicated to non-violence must proceed with their own organisations, and those who are not must move into new ones." (Our emphasis.) This is a clear declaration of his will to divide the movement in order to preserve its class-composition. Problems of consensus or democracy (what if they want to stay?) are put aside in such an emergency. As for legalism, this is not another possible compromise with capital, like non-violent civil disobedience. Legalism always means disarming and paralysing the real social movement (direct action, 'subversive' behaviours, autonomous organisation) in order to get a broad representation on the level of anonymous, formalised, hierarchically controlled institutions (bourgeois democracy, media, unions). On this level, it is possible to get a representation which goes beyond limited class sectors. Capital allows the 'breakdown' of all class-divisions within the working class if this process is controlled by the State, ie, by its own institutions. Referendums, elections, legal rallies, for example, 'overcome' such class-divisions as those between intellectual workers and local residents. But the price paid is that the movement no longer acts as a social movement. In reality, it is not acting at all but is only symbolically present. It exists only in relationship to State-institutions or the media. Going to such a legal rally does not mean that you are 'a lot of people', it means that you are 'nobody', only an abstract number, an element in a piece of 'art'. Totally legal gatherings demonstrate not the strength of the movement but the strength of State-control over it. It shows the that the State can allow such huge accumulations of people without any practical consequences - unless the rally 'gets out of control'. At the same time, this type of legalism is a weapon against genuine autonomous organisation. First, because it drains away a lot of energy and time from (possibly modest) direct actions. Second, it discourages day-to-day activities and imposes rhythms on the movement which are not its own. Legalism is not a compromise with capital, it is the way capital deals with oppositional movements in 'normal times' (if it doesn't revert to fascism or armed repression). This process of disarmament is exemplified by the struggle of the Granite State Alliance (Manchester, NH) against the electricity rate hikes and particularly the Construction Works in Progress (CWIP) rate hike. The CWIP increase was to be about 25% and was to finance the building of the Seabrook nuclear power plant. The class structure of the initial group was substantially the same as that of the Clamshell Affiance. However, starting with the rate-hike, which meant an attack on all wage-income levels, it was possible to extend the class-composition of the movement potentially to the whole working class and especially the elderly and low-income urban people. The GSA wanted to build a social movement on this basis, but it was used indirectly by the Democratic candidate for Governor, Gallen, who promised not to introduce CWIP and used this issue (in combination with clever TV tactics) for his campaign in the Fall 1978. Against the explicit will of the GSA, the social potential of the rate-hike was transformed into electoral, institutional powerlessness. The possible broad class-composition got diluted into individual votes. Gallen won, but the construction of the Sea-brook plant goes on, with all the financial consequences for the rate payers. There will be no CWIP. However, the State of New Hampshire is now considering the purchase of a part of the shares of the Seabrook plant, through a new State Power Authority. Thus, the plant will be financed with tax money directly, instead of electricity rates, providing a further pretext to cut back vital social services. The defeat would not have been so painful if a lot of free work and political energy had not been exploited by institutional legal activity. The different and more 'diffuse' class composition of the European antinuclear movement found its most visible expression in the tactics of the police, which were much more belligerent than the police response in New Hampshire, despite the fact that NH is a 'law and order' State. In Europe, unprovoked police responded physically against the demonstrators, using tear gas, clubs, dogs, even grenades, causing hundreds of injured and even death (as in the case of Malville in 1977). Civil war-like street blockades, dozens of miles away from the demonstration-sites and at national borders (which despite 'European" Unification' are now more intensively used than ever to control 'undesirable mobility'), were set up to hassle and withhold demonstrators. Trains were stopped, buses and cars blocked for hours, all 'weapons' like lemons, handkerchiefs, motorcycle helmets, raincoats and car tool-kits) were confiscated. In Kalar, West Germany, on September 24 1977, 60,000 demonstrators made it to the the site, mostly walking dozens of miles. But more than 10,000 were blocked on the road. Using the official hysteria created around the Schleyer kidnapping which was going on simultaneously, the West German government mobilised 13,500 policemen, the largest police gathering in German history. The nuclear industry was planned throughout the fifties and sixties as a response to the unreliability of domestic coalminers and oil workers in the Middle East (cf the Suez crisis in 1956). It was conceived as the source for a flew capitalist accumulation, a new model of capitalist command, control and territorial organisation. The 'nuclear worker' was to be the standard for a new class-composition: a model of discipline, responsibility and political reliability. The higher level of discipline was to be achieved by a militarisation of the nuclear cycle. 'Atoms for Peace' was to be a mere extension and toned down version of the terroristic impact of the nuclear weapons industry. In the late sixties the construction of 1,000 power plants by the year 2,000 was planned. This Plan meant the full 'nuclearisation' of US territory and would have been a marvellously powerful but subtle means of social control. The Plan envisioned that the production of 30% of the energy supply would be nuclear. If this had succeeded, the industry would have been able to bust all the struggles of the coal miners andoil workers. The planned location of the plants was also dictated by the need for class control. The plants were sited around the major metropolitan areas, so that the State could impose evacuations or other emergency measures and blackmail the population with radioactive danger in times of 'social unrest'. (It would not make any difference if the danger were real, for with radioactivity 'you don't feel anything' until after the damage is done). The same command-functions could have been exerted on an international level through the control of the uranium cycle. For example, the European nuclear industry depends completely on US and Canadian uranium and to a large extent on US nuclear technology. This plan suffered one major internal contradiction: though planned as a profitable single capital, the nuclear industry turned out to be completely unable to function capitalistically. One problem was the immaturity of nuclear technology itself The political pressure of the working class did not give capital enough time to resolve all the technological problems ('safety', waste, environmental problems). Another problem was the overextended circulation period of nuclear capital. It takes ten years to plan a plant, four years to build it, another 15 years to completely pay off the investments, by which time it is technologically obsolete. This makes the costs of a nuclear plant virtually incalculable, for in this long period many external influences (inflation, changes in the supply costs, changes in the environment) can intervene. Thus the huge cost overruns. If we compare the nuclear plants with their actual achievements we find them in a very critical situation. Only 72 plants are operating in the US and most of them are operating far below their capacity. In 1978 no new nuclear plants were ordered while almost every day we read that plants have been cancelled or will be shut down. in March 1979, five plants in the Northeast were shut down by the nuclear Regulatory Commission because of 'earthquake dangers'. The Seabrook plant is struggling with serious financial problems. The Three Mile Island plant is lost. In Europe, dozens of plants have been cancelled or delayed. In Austria, a completed plant will not go into operation after a referendum on nuclear development. It will become a silent and ugly monument of the 'nuclear age' in that country. if we compare this situation to the original plans., we can speak of a 'victory' against the nuclear industry. But whose victory? And is it really a victory? These victories cannot be due to the antinuclear movement alone because the movement had a direct impact only in a few situations (as in Wyhl, West Germany). For example, the referendum in Austria was supported by the conservative Volks-partei against the Social-Democrats and was not started by the anti-nuclear movement. This 'victory' occurred, moreover, in a period of open defeat of the movement in Europe. The nuclear industry puts the blame on 'rising costs' and not on the anti-nuclear movement. This is superficially true. But 'costs' are only an expression of the social processes that cause them. One very important (if not the most important) element of these costs' are the nuclear workers themselves, including all types of scientists and the social context in which they move. Nuclear plants were designed for the responsible progress-abiding, intellectual-technical workers of the fifties. The high capital-intensity and the centralised existence of nuclear capital require stable, socially settled 'family men', 'militarily' disciplined workers, truly 'scientific' Stakhanovites of the second half of the 20th century. It is no accident that the race to develop the atomic bomb also produced the first 'peaceful' atomic workers. War has always been capital's laboratory for developing new production processes and forming new types of workers. The sixties and seventies put this 'new' worker in crisis. Wives, mothers and lovers no longer produced stability and discipline, the universities didn't produce reliability, while academic unemployment ruined the 'pride' of these workers. The undermined discipline of the nuclear workers imposes high 'Costs' on the nuclear industry, i.e., costs for 'safety and protection' against its own employees. Sabotage or 'human error' are in fact main concerns of the NRC. In 1978 the NRC demanded that all plants apply new, tougher safety procedures: more personnel, introduction of the 'Two man rule' (all employees dealing with vulnerable operations should always be accompanied by another employee to prevent sabotage), installation of TV-supervision and new safety clearances of two-thirds of all employees (which costs £6000 per person). It seems that a number of companies refused to apply these rules and risked the loss of their licenses (the deadline was first August 1978 and later extended until February 1979). But these new procedures did not do the job. 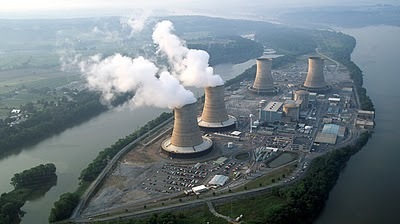 In fact, the NRC blamed the Three Mile Island accident on 'human errors', for the system itself worked fine! Nuclear workers have protested against the 'two man rule' and other safety procedures because they consider them a declaration of mistrust. They are right: capital does not trust them. For capital must not only deal with the question: who educates the educators? but, most crucially in the nuclear industry, it must pose the question: who controls the con trollers? "What is the difference if you stay in New York and die from carbon monoxide or I stay in Goldsboro and die from radiation?" Given the fact that the crisis, the higher costs of living, the cutbacks of social services have generally created so many risks for health, many people are perhaps willing to take the additional radioactive risk, stay in an evacuation area and try to make use of the situation in the form of looting or riots. The renewed interest by the government in 'civil defence' and mass, police-run evacuations indicates that nuclear plants are not terrorising and commanding enough for the working class of the seventies. Even in this critical situation, with all these strange victories', the nuclear industry (and even less capital in general) is not yet defeated and has other choices. State/capital wants us to pay a high price for our unexpected victors and lack of devotion to its plans. For if splitting atoms cannot do the job of controlling our lives, maybe decaying dollars can. This may appear exaggerated, but this question expresses the main problem the anti-nuclear movement will necessarily face in urban areas. The urban working class forces a choice on the movement: will it stick to its old class-structure or will it try to extend beyond these limits? Will it be a movement of concerned intellectual workers, dealing with problems of antiplanning, restricting its form of struggle and organisation to this class sector or will it deal with more immediate issues such as rate hikes and food prices. The anti-nuclear movement is still pondering over the risks of enlarging its class composition (which could mean self-devaluation) versus the advantages of conserving its own value as a labour force. (For example, at one of the first major occupations of a nuclear plant site after Three Mile Island - the one at Shoreham, New York on June 3, 1979 - non-violence training has still been declared compulsory by the organisers). The anti-nuclear movement has developed a certain rigidity and a fear of uninvited guests. While being harmless in rural areas, this rigidity can become a danger in cities where different class-sectors live closely together. 'Doing your own thing' in a city can immediately mean doing it against others, for everything is so directly interrelated. The apparently innocent act of installing a windmill on the roof and saving energy is an attack on a neighbour who probably doesn't have the necessary money for such an installation and is left alone in the' struggle against rising electricity bills. One arm of the anti-nuclear movement, 'alternative energy', can become just another hobby for higher income people or people with special educations. Thus, Carter's energy bill subsidises the installation of solar heating devices through tax write-offs, but only those who have houses to install them and taxes to write off can take advantage of the deal. In general, such individual or class restricted energy solutions put poorer sectors in an even tighter squeeze and deepen the divisions within the class. if a nuclear shut down only means solar privileges for some people, capital can divide the possible movement of all energy consumers and we will lose the nuclear battle. 1) Wyhl in Germany was a christian-democrat (conservative) stronghold, the political attitudes could be described as 'law and order', 'defense of private property', 'anti-communist'. Nevertheless, it became the centre of a very militant activism of local people against the planned nuclear reactor and against the christian-democrat government. 2) In Wyhl, the quality of the wine would have declined due to climactic changes; the value of the real estate would have gone down; milk production would become problematic, etc. 3) Similar 'factors' emerged on a lesser scale in other places, including the Denver-Aspen of Colorado; around Chapel Hill, North Carolina, Madison, Wisconsin, etc; in sum, in centres of 'alternativism' which co-exist with centres of the education industry. Proofreader's note: the exact place of this footnote is unclear, apparently the footnote number went missing in the printed version i have. It obviously relates to this section in general though, so i just placed it at the beginning. 2) Interview with R. Jungk, Tages Auzeiger, March 6, 1979. 3) The typical nuclear plant employs about 733 persons a year according to Ron Langue, Nuclear Power Plants: The More They Build, The More You Pay (New York, 1976). The average cost per plant completed in 1976 is about $ 2 billion, e.g. Seabrook will be about $ 2.5 billion on the basis of 1978 estimates. Thus the average investment a worker handles in a year is $ 2.7 million. The investment per worker per year in petroleum is $ 150,000 while in textiles it is $ 18,600, Statistical Abstract of the US 1978 (Washington D.C., 1979), p.567. Thus the nuclear worker has to be 16 times more reliable than the petroleum worker and 145 times more disciplined than a textile worker. 4) Calculated from the Statistical Abstract. Also included in the collection Midnight Oil: Work, Energy and War 1973-1992 . Below, the missing endnotes, for yr enjoyment. In a while or so i will be able to send u a corrected version of the text (also as printable pdf pamphlet). 1) Whyl in Germany was a christian-democrat (conservative) stronghold, the political attitudes could be described as 'law and order', 'defense of private property', 'anti-communist'. Nevertheless, it became the centre of a very militant activism of local people against the planned nuclear reactor and against the christian-democrat government. 2) In Whyl, the quality of the wine would have declined due to climactic changes; the value of the real estate would have gone down; milk production would become problematic, etc. the German place name "Whyl", which is found several times in th text, is really spelled Wyhl. Extremely embarrassing comment . . .
eh, sorry for being stupid, click edit where? above the title of the article there should be a couple of tabs saying "view" and "edit"
not with me. sounds like you have admin rights and i don't. changed the input format; you should be able to edit it now. yep, thanks! i'll get to it in a little while.